Edannair is home to millions of people who can live the experience of this fantastic universe of incomparable, lush artistry, innovative game-play, and state-of-the-art technology. Not just a game, but a world you’ll never believe doesn’t somehow truly exist. Edannair is an MMORPG available for PC, Mac, and select consoles. 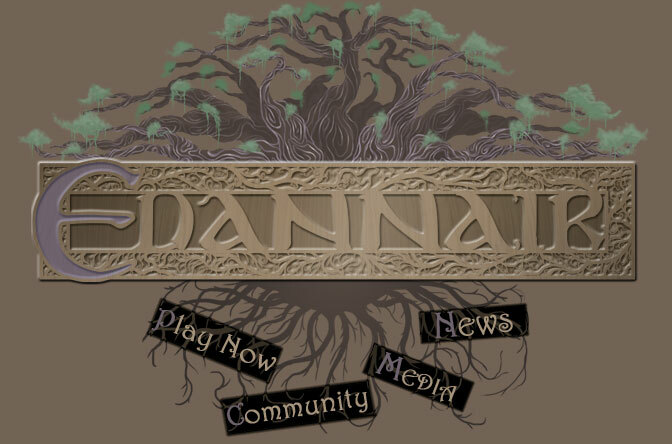 Created and developed by Deluvian Games, Edannair has many attributes that separate it from other online games. Interact with the most highly developed NPCs ever designed. Our programmers have created artificial intelligences that will astound any critic. With our groundbreaking Voice-to-Response System™ (VRS), you’ll swear you’re talking with a real person: converse with our characters for hours without repeating any dialogue. Arrowhead Mountains in the zone of Ridges Point. One of the largest vistas found in Edannair. Love to explore realms eternal? 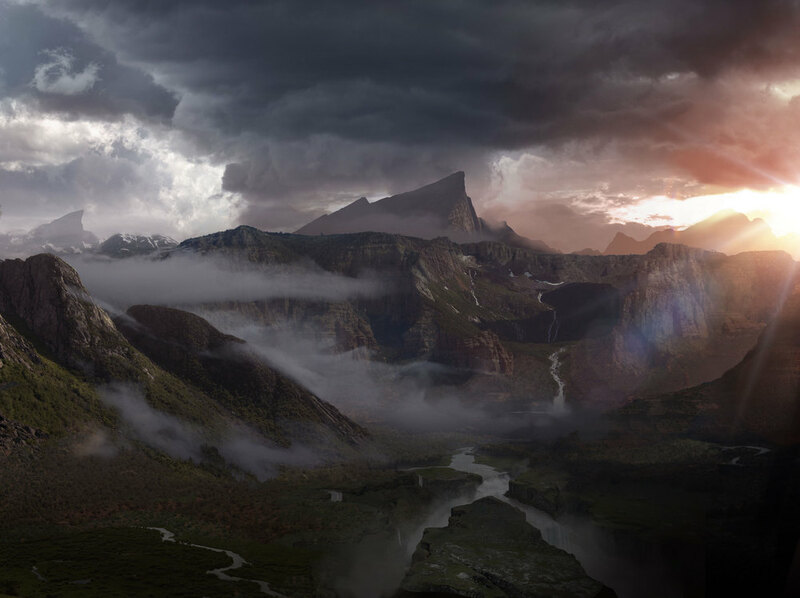 Edannair’s developers have created a premier-quality world of epic proportions. No player has yet traveled every inch of Edannair, leaving the Explorer of Edannair title as yet unclaimed. Every corner of every map in Ylora has the meticulous attention of Deluvian Games’ renowned artists. Because of that, Edannair has won artistic achievement for most beautiful scenery created in a video game. You’ve seen our artwork in some of the most prestigious American art galleries. Edannair hosts the exclusive live alias-versus-alias (AVA) battles. Think Ultimate Fighting, but in your favorite online game. Edannair’s one-on-one duels and three-versus-three matches unravel in round theatres where fighters and spectators gather live in-game. If you’re the fighter, prepare for infamy—thousands of players will be watching from courtside seats as you fight for survival. If you’re the spectator, prepare for voracious battles, hailing your favorite fighters—so close you’ll feel their sweat and blood spattering across your seats—and place a few bets while the chaos explodes before you. Round theatre too intimately chaotic? Edannair offers huge AVA battlegrounds in massive gladiator coliseums. These matches are impossible to predict—only the most highly trained AVA players will survive battlegrounds of this intensity. Spectators, you won’t be removed from the fight! In Edannair you are there, live in-game, witnessing this revolutionary sport firsthand. Place your bets wisely. This is an experience unlike any other. Go on, try it, but don’t say we didn’t warn you.